Available from the Fire Protection Shop are a range of fire door furniture retainers and closers. The retainers are wireless magnetic door retainers available in black, white and brass. They are suitable if you can not cable to a door holder. The door closers are overdoor acoustic door closers suitable for holding a fire door open. The closers are available in a range of finishes including: black, brushed chrome, stainless steel, silver and brass. 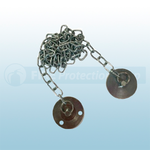 Also available are the agrippa chain keeper which enables for the wall mounted electromagnetic fire door holder to be used even when the door will not open fully to meet the magnet. 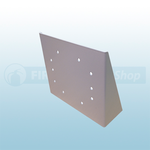 You can also purchase the agrippa floor mounting bracket which is suitable to use for agrippa door retainers when there are no ideal walls to fix the holder to.